What? Guided-inquiry worksheets for use in small groups in recitation section of intro calculus-based physics. Instructors engage groups in Socratic dialogue. 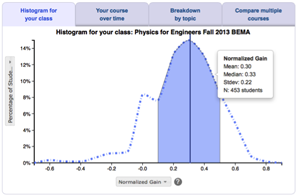 Activities emphasize the connection between mathematics and physics, and use computer-based tools to help in easy data gathering. You can download the tutorials, pre-tests, and homework for free from the Activity-Based Tutorials website. You will need to contact Joe Redish for the password, following the instructions on the site. You can download a sample tutorial from PhysPort. These tutorials have also been published as a book that you can order from Wiley or from Amazon.